Most dog owners are aware that chocolate is a big no-no for dogs. However, the amount and the type of chocolate a dog ingests makes a huge difference in how your dog will be affected by it. While the random chocolate chip in a cookie is hardly ever an issue, certain kinds of chocolate are highly toxic to pooches. 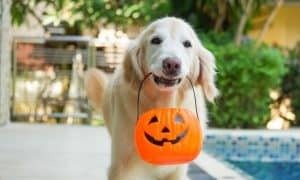 In most cases, the more bitter and darker the chocolate a dog has ingested, the greater the risk of him getting poisoned. The amount of chocolate a dog can ingest without serious adverse effects is relative to the size of the dog as well. Where a 75-pound Labrador may show no reaction to eating a slice of chocolate cake, a 4-pound Chihuahua may be seriously at risk. The toxicity of chocolates is generally caused by a chemical that’s relative of caffeine known as methylxanthines. This triggers diarrhea, vomiting, lethargy, hyperactivity, increased thirst, agitation, seizures, abnormal heart rate, and sometimes death. 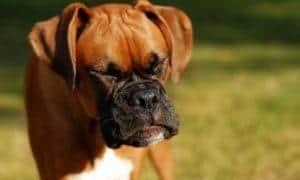 Also, with as low as 20 mg/kg of theobromine, another chemical compound in chocolates that is indigestible to dogs, clinical signs of canine poisoning can already be observed in your pet. Amounts of theobromine ingested that is greater than 40 mg/kg can already result in cardiotoxicity which is characterized by racing heart rates or heart arrhythmias. Worse, if your dog has consumed amounts of chocolate with this chemical greater than 60 mg/kg, neurotoxicity would be a potential risk. A poisoned nervous system can lead to tremors, seizures, and/or even death. 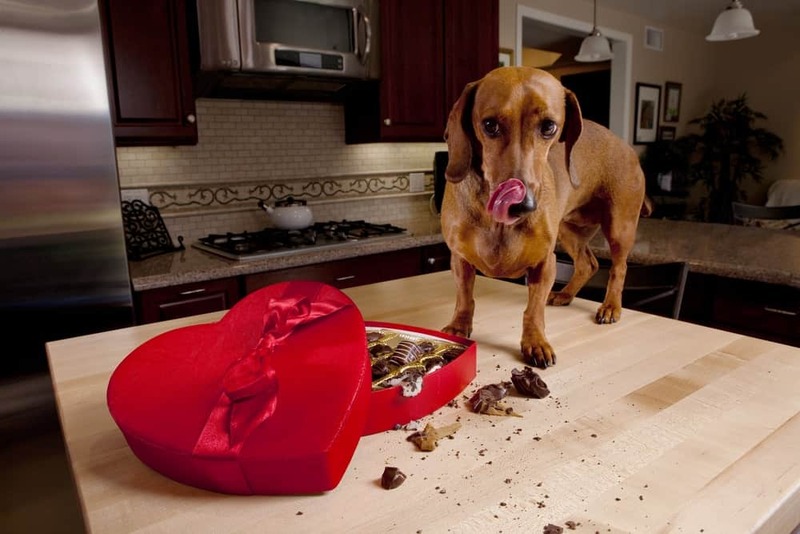 Dogs that have finished off small amounts of chocolate may show signs of poisoning in about a day or two. Vomiting and diarrhea are the most common symptoms. 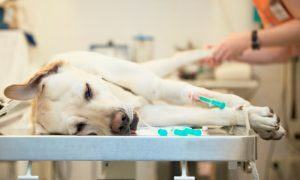 To prevent your pet from getting dehydrated, veterinary treatment may be necessary. Those dogs that have eaten large amounts of dark, more toxic chocolates will demonstrate signs of toxicity in just a matter of hours. While both cases require medical attention, the latter is a highly urgent situation. Because of this, it’s very necessary for you to take your dog to your vet at once. This kind of grave poisoning, if not treated right away, could lead to serious life-threatening illness. 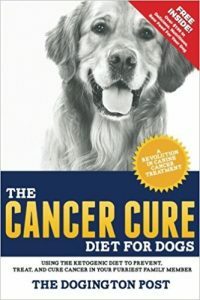 Treatment generally includes your vet trying to induce vomiting which usually depends on when your pooch has ingested the chocolate, administer activated charcoal numerous times so the toxins pass through the dog’s digestive tract, prescribe anti-nausea drugs, and possibly IV fluids and heart medications. 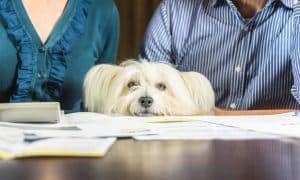 Don’t forget that with any kind of canine poisoning, it’s always less expensive, less severe, and has a much better outcome if early treatment is done. Since there is no antidote to chocolate poisoning, prevention is always better than cure. So keep those hapless chocolate bars in well-covered containers and out of Fido’s reach all the time. 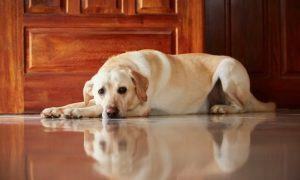 Avoid poisoning problems as much as you can by dog-proofing your entire house properly. You mentioned Bounty Bar in the title, then never again. Yes, darker chocolate is more dangerous, but what about the Bounty Bar? My dog ate one of those. I totally agree, keep that chocolate far away from the dogs! And if an accident does happen, get them to the vet immediately. Better safe than sorry! These are some great things to keep in mind, and I especially appreciate your advice to get treatment as quickly as you can. It’s always better to catch a problem as early as you can, so it doesn’t worsen. I just got a puppy, and she likes to get into everything she can, so I’ll keep this information in mind, but hopefully I don’t have to put it to use! Thanks for the great post! My mixed breed 20lb pup knocked a plastic container(with a screw top)containing choc cookies, off the counter, removed the lid and ate 3/4 of the contents along with my 60lb border collie mix. The border collie was fine, the pup got choc poisoning. It was scary. We have to choc proof the house he is like a goat he can get into anything! when I was a kid we used to toss the dog Hershey kisses, etc. with no ill effects, nowadays we are told different. If you love your dog as I know you do why bother taking the chance. They shouldn’t have the sugar or most people food anyway. I’m sure you have plenty of dog treats at home that he/she would like just as much. My 6 pound chi got on the counter while I was at work on day and ate 2 bags of M&M’s with no problem. But you were very very lucky! 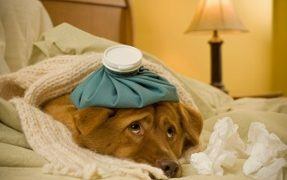 Just because the dog didn’t get sick it should have been taken to the Vets! The milk chocolate most people eat doesn’t contain that much cocoa. Us chocolate connoisseurs, however, eat the 70-90 percent dark chocolate that has a slight bitter taste. Dark chocolate has much more cocoa, very good for humans, but very bad for dogs. Recently, my diabetic dog ate a bag of milk chocolate and nuts (don’t ask…it was my fault). Be aware that chocolate can cause many problems….as my vet bill will attest. It’s certainly not something you want to offer. Vet said it is a myth. Our dogs love chocolate. Does them no more harm than it does people. To get enough ‘toxin’ would require eating many pounds of chocolate. Perhaps an issue for a tiny dog or person who gorges on ultra dark chocolate. Your vet is wrong and should not tell anyone such misinformation. One of my dogs once stripped all of the chocolate decorations off the Christmas tree and ate them with no ill effects. The same dog managed to open the cupboard and steal and eat a large bar of Galaxy chocolate – again with no ill effects. I know of many other cases of dogs eating large amounts of chocolate, and I don’t know of any that have been ill or died. I would imagine that it could be dangerous for a diabetic dog, in the same way aas it wouldn’t be good for a diabetic human, but I am concerned that the threat is overstated. 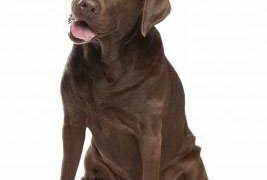 My friend’s 90 pound dog died after eating part of a bag of milk chocolate. Anyone who tells you it isn’t dangerous is lying. No a chocolate chip isn’t going to kill them but would you drink bleach? It really depends on the kind and amount of chocolate. A coworker of mine had a small dog that got into a container of baking chocolate and died after eating only two squares. It’s always better to be safe than sorry in my mind. Why would you risk it? You Vet is a quack then. 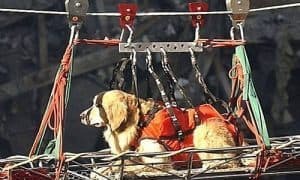 Your dogs lives are at risk and you are too ignorant to pay attention to the real Professionals!